1Zoology Dept., Faculty of Science, Tanta Univ. 2Medicinal Chemistry Lab., National Research Center, Dokki, Cairo. 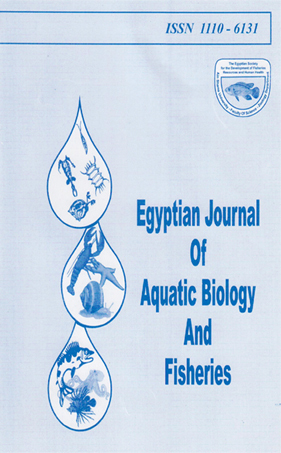 In this study, the chronic effects of diethyldithiocarbamate (DDC) on the fecunditiy and on some oxidative and anaerobic enzymes of Biomphalaria alexandhna snails, the intermediate host of Schistosomiasis mansoni in Egypt, were evaluated. The data obtained showed that the exposure of snails to sublethal concentrations of DDC reduced the egg laying capacity of the snails. The hatchabilily and survival rates of eggs, treated with very low concentrations of DDC were significantly reduced. All of the above effects were found lo be concentration and time dependent. Also, these DDC concentrations resulted in a significant decrease in the activity of lactate oxidase (LO), succinate oxidase (SO), known to activate vitellogenesis, and pyruvate kinase (PK), the key enzyme of anaerobic metabolism. On the other hand, the levels of transaminases (AST, ALT) of the exposed snails to DDC concentrations tested were not affected. At the same time, the glycogen content of the treated snails was lowered significantly. Moreover, the tested DDC concentrations caused degenerative changes to the histological architecture of hermaphrodite, albumin and neurosecretory glands of the exposed snails. All these findings may suggest that DDC has anti-fecundity and ovicidal effects on the examined snails, and affects the parasite - snail relationship by inhibiting some enzymes of both vitellogenesis and anaerobic respiration.